You are here: Home / Celebrity Video / Rixton Performs Single “Me And My Broken Heart” On Ellen Show — Watch Now! Rixton Performs Single “Me And My Broken Heart” On Ellen Show — Watch Now! 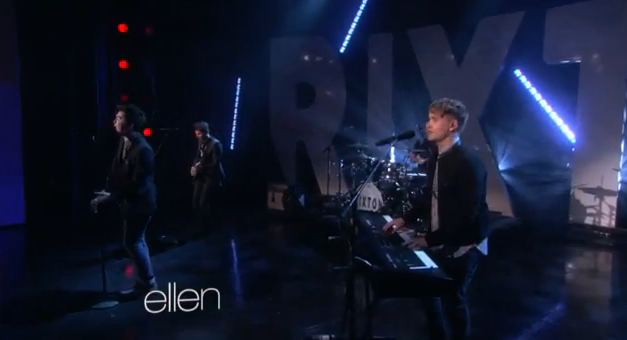 If you were tuned into The Ellen Show today, you would recall seeing the quartet boy group known as Rixton performing. Rixton did a fantastic performance of their single, “Me and My Broken Heart”. On the off chance you were unable to see them, no worries. A video of their performance has been shared for all your Rixton needs! So, relax and check out the awesomeness of Rixton below! « Check Out Emblem3 On The Way To The IHeart Radio Music Awards — Watch Now!